WATERLOO - Martha Balkmon, 59, of 148 Kern St., died Thursday, March 4, at Country view Care Facility of natural causes. She was born March 12, 1950, in Memphis, Tenn., daughter of James Lewis Sr. and Florence Moore. She married Earnest Joseph Balkmon on Jan. 26, 1979, in Waterloo. Survived by: her husband; two daughters, Shavawn Balkmon and Javonda Balkmon, both of Waterloo; two sons, Marvin D. (Martha) Lewis of Memphis and Ernest Jr. of Waterloo; two sisters, Mary (Charles "Ezzard") Long of East St. Louis, Ill., and Florence Ison of Maldin, Mo. ; two brothers, Robert Hill and Robert Lewis, both of Waterloo; 11 grandchildren and three great-grandchildren. 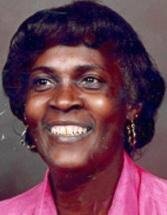 Preceded in death by: her parents; four brothers, LeGusta, James, Willie and Robert II; and three sisters, Mammie Nance, Fannie Nance and Elizabeth Carmouchie. Services: 11 a.m. Tuesday at Payne Memorial AME Church, with burial in Garden of Memories Cemetery. Public visitation from 4 to 6 p.m. Monday at Sanders Funeral Service, and for an hour before services Tuesday at the church. Memorials: may be directed to the family at 147 Kern St., where they will receive friends.